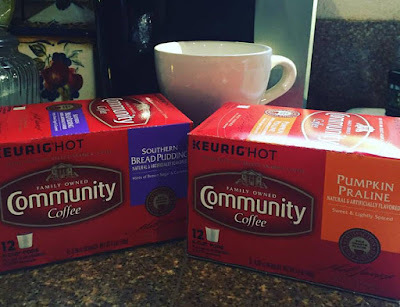 My Vegas Mommy: Celebrate National Coffee Day with Community Coffee's Pumpkin Praline and/or Southern Bread Pudding Fall Flavors - Our Review! Celebrate National Coffee Day with Community Coffee's Pumpkin Praline and/or Southern Bread Pudding Fall Flavors - Our Review! Community Coffee Company is a quality brand that you will love. If you aren't familiar with their brand, let me tell you a little about them. They are a family owned coffee brand that has been in business since 1919. They are committed to a superior cup of coffee and after 4 generations still adhere to that responsibility. This fall they have two unique flavors currently available right now, Pumpkin Praline and Southern Bread Pudding. 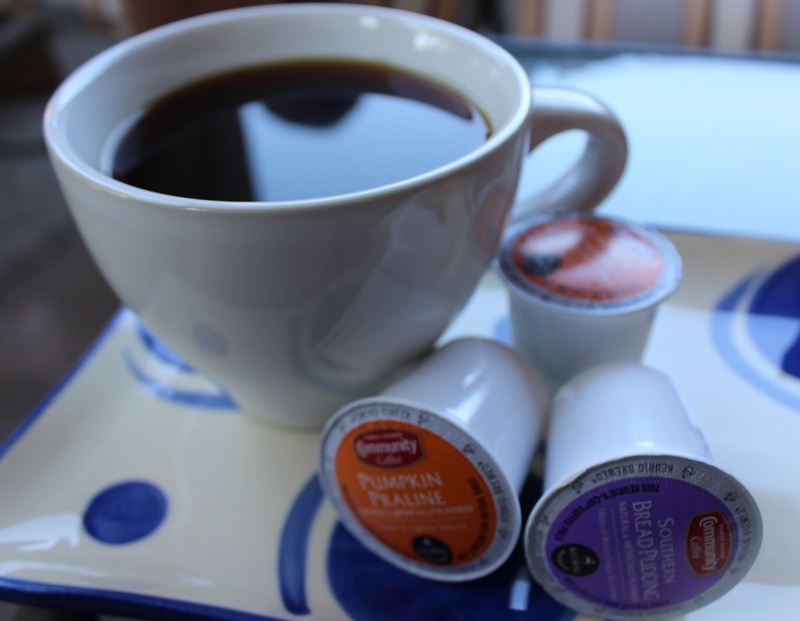 Celebrate National Coffee Day with one of these flavors available in ground coffee and/or k-cups. Pumpkin Praline was the perfect blend to drink this morning with my neighbors and family on the front porch. The air is getting a bit cooler and crisp with each day that passes. We have hung the fall decorations and are ready for the season. I am a pumpkin fan...and while the craze is in full force with everything pumpkin spice this coffee is unique. It is a medium roast with hints of pumpkin spice to it...think nutmeg, ginger and all spice but with a hint of light sweetness and an aroma of pecan. It isn't overwhelming, you gotta try this! Southern Bread Pudding made a great cup of joe for our afternoon coffee time. Growing up in New Orleans where a huge part of the population are heavy coffee drinkers, this past time was just part of the culture. Front porch sitting drinking a cafe au lait...even as a kid. Although back then it was mostly milk with a splash of coffee. It is a social time I enjoy. Personally, I like the more fancy pants sweet drinks and this coffee was a great afternoon cup. You could tasted the hints of brown sugar, caramel and even raisins. It wasn't overly sweet though, I did add sugar still and it paired great with some warm milk. Perfect for a cafe au lait! If you aren't familiar with the term cafe au lait, it just means coffee with milk in french. It is coffee paired with hot milk though, not cold...that would be known as white coffee. Give it a try on your next cup and look for Community Coffee at your grocer or order it online here.